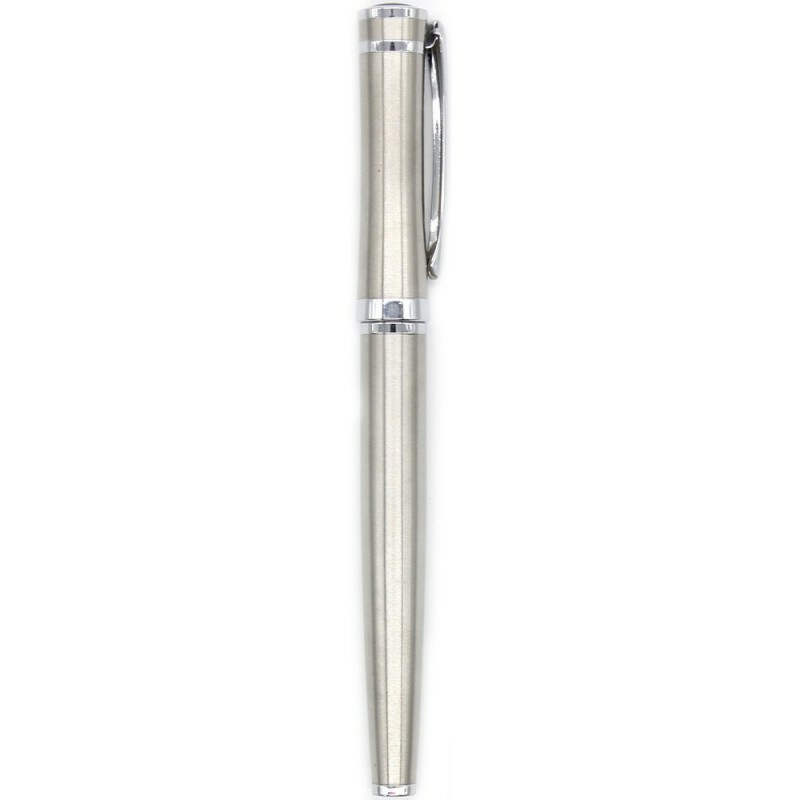 An elegant and traditional-style Baoer 3035 fountain pen with refillable ink cartridge. 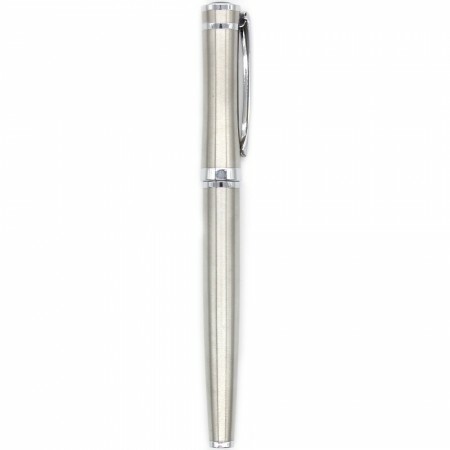 Made from 304 grade, satin-finish stainless steel, this medium sized and weighted pen is nicely balanced and very comfortable to hold. This long lasting and hard wearing pen features a snap on cap and a refillable standard piston converter ink cartridge. Ink not included. Buying reusable instead of disposable reduces unnecessary waste. Buy once for life, but recyclable at end of usefulness. L 13.6cm x D 1.2mm capped. L 12.1cm uncapped. 304 stainless steel, chromed brass, iridium detail on cap. Recyclable as separate components. Stainless steel can be recycled through your local council. Ink barrel can be recycled with Terracycle at all Biome locations. Browse our other eco stationary.